With a title like this, how could I resist? As soon as I saw I'd Rather Be Reading on the review list, I ordered my copy. I've been dipping my toe into the e-book world over the last few years, but something told me that this one would be best read in hardcopy, and it was definitely the right call. This sweet collection of essays is written by a reader, for readers. 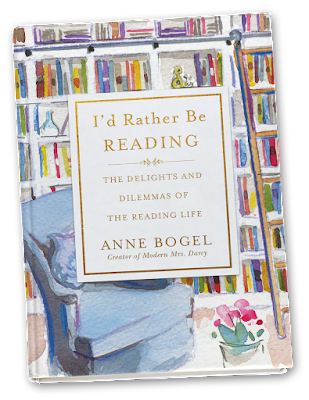 If you love books, reading, bookstores, libraries, book clubs, book shelves and all aspects of literary life, this wee tome is for you. 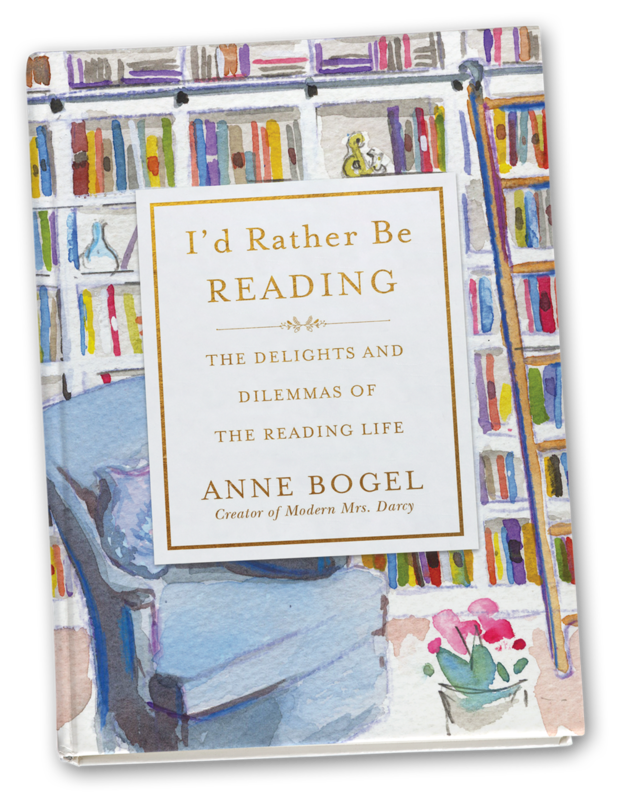 I wasn't familiar with Anne Bogel's work before this, but I'm curious to look into her blog, podcast, and other writings. 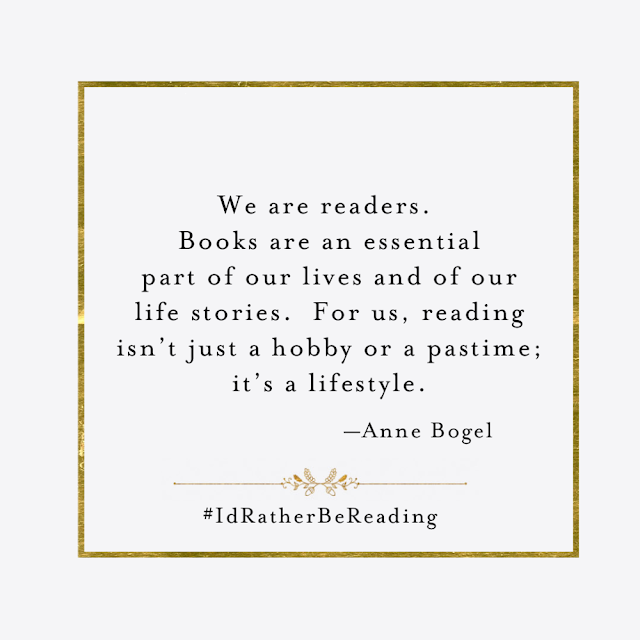 It can be quickly read in one sitting, or devoured over a few days in bite-sized portions. If you love books, you'll love I'd Rather Be Reading. I might even recommend buying several copies - one for yourself, and ones to give your other reading friends.